Working everyday in contact with people through the main channels of online communication, I mean the list of social networks, makes me think that it’s absolutely necessary to celebrate when you reach a goal. Well, you can do it for example when one of your Youtube videos gets more than 100.000 views, or when you write the 100th song of your whole production. But as we surf the internet every hour and everyday you begin to reach different people, to create some kind of friendship, to build your public and get your followers and Likes! 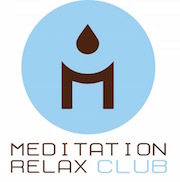 And it’s about LIKES that I’d… like to talk about today… In fact during this weekend I found the occasion to celebrate… Facebook, the most popular social platform in the world, guests also our trademark page Meditation Relax Club and it reaches 1000 Likes! Not many, as most people will say, but it’s a big step and a great goal for our group as producers and musicians of online new age relaxation and meditation music. To celebrate, but most important to thank all our fans and friends we decided to create a video tribute in line with our targets and characteristics. First of all: Nature and its spirit, Nature as part of our world, Nature as mother of all things and our belief in a close connection between nature sounds and soft relaxing music to bring calm and to relieve stress in people minds. And second of course, Music, the solution to any problem, the key that opens every door, that same music that has a great power on our feelings and emotions. 1000 facebookers are an amazing goal and we are glad to say that it’s thanks to you that our great community exists and continues to grow. This is really sooo awesome and we hope to reach more and more fans on Facebook. Created our fanpage on February 4, 2013. Hoping to inspire more and more people around the globe.